Identifying Dissatisfaction Segments In Connection With Improving Search Engine Performance, US Patent Pending. Filed by Microsoft. Prediction Model Refinement for Information Retrieval Systems, US Patent Pending. Filed by Microsoft in 2012. Relevance Estimation using a Search Satisfaction Metric, US Patent Pending. Filed by Microsoft in 2011. System and Method of Geo-Based Prediction in Search Result Selection , US Patent No. 8352466. Filed by Yahoo! in 2009. Method and System for Access of Multilingual Textual Resources using Conceptual Representation Matching , US Patent Pending. Filed by IBM in 2007. Ahmed Hassan, Ryen W. White, ad Yi-Min Wang. Using Groups of Poorly-Performing Queries to Improve Search. The 36th Annual International ACM SIGIR Conference on Research and Development in Information Retrieval (SIGIR 2013). Ryen W. White, Wei Chu, Ahmed Hassan, Xiaodong He, Yang Song, and Hongning Wang. Enhancing Personalized Search by Mining and Modeling Task Behavior. The 22nd International World Wide Web Conference (WWW 2013). Youngho Kim, Ahmed Hassan, Ryen White, and Yi-Min Wang. Playing by the Rules: Mining Query Associations to Predict Search Performance. The 6th ACM International Conference on Web Search and Data Mining (WSDM 2013). Ahmed Hassan and Ryen White. Task Tours: Helping Users Tackle Complex Search Tasks . The 21st ACM International Conference on Information and Knowledge Management (CIKM 2012). Ahmed Hassan, Amjad Abu-Jbara, and Dragomir Radev. 2012. Detecting Subgroups in Online Discussions by Modeling Positive and Negative Relations among Participants. The 2012 Conference on Empirical Methods in Natural Language Processing (EMNLP 2012). Ahmed Hassan, Amjad Abu-Jbara, and Dragomir Radev. 2012. Extracting Signed Social Networks from Text. The 7th TexGeaph Workshop in ACL 2012. Amjad Abu-Jbara, Ahmed Hassan, and Dragomir Radev. 2012. AttitudeMiner: Mining Attitude from Online Discussions. The North American Chapter of the Association of Computational Linguistics (NAACL 2012). Ahmed Hassan. 2012. A Semi-Supervised Approach to Modeling Web Search Satisfaction . The 35th Annual International ACM SIGIR Conference on Research and Development in Information Retrieval (SIGIR 2012). Ahmed Hassan, Yang Song, Li-wei He. 2011. A Task Level User Satisfaction Model and its Application on Improving Relevance Estimation . The 20th ACM Conference on Information and Knowledge Management (CIKM 2011). Ahmed Hassan, Amjad Abu-Jbara, Rahul Jha, and Dragomir Radev. 2011. Identifying the semantic orientation of foreign words . The 49th Annual Meeting of the Association for Computational Linguistics (ACL 2011). Amruta Joshi, Junghoo Cho, Dragomir Radev, and Ahmed Hassan. Improving image search based on user created communities. arXiv:1102:5458v1, Arxiv, 2011. Madhav Krishna, Ahmed Hassan, Yang Liu, and Dragomir R. Radev. The effect of linguistic constraints on the large scale organization of language. arXiv:1102.2831, Arxiv, 2011. Ahmed Hassan, Vahed Qazvinian, and Dragomir Radev. 2010. What's with the Attitude? A study of Participant Attitude in Multi-Party Online Discussions . The 2010 Conference on Empirical Methods in Natural Language Processing (EMNLP 2010). Ahmed Hassan, and Dragomir Radev. 2010. Identifying Text Polarity Using Random Walks . The 48th Annual Meeting of the Association for Computational Linguistics (ACL 2010). Ahmed Hassan, Rosie Jones, and Kristina Klinkner. 2010. Beyond DCG: User Behaviour as a Predictor of a Successful Search. The 3rd ACM International Conference on Web Search and Data Mining (WSDM) 2010. Ahmed Hassan, Rosie Jones, and Fernando Diaz. 2009. A Case Study of Using Geographic Cues to Predict Query News Intent. The 17th ACM SIGSPATIAL International Conference on Advances in Geographic Information Systems (ACM GIS 2009). Ahmed Hassan, Dragomir R. Radev, Junghoo Cho, Amruta Joshi. 2009. Content Based Recommendation and Summarization in the Blogosphere. The International Conference on Weblogs and Social Media (ICWSM 2009). Saif Mohammad, Bonnie Dorr, Melissa Egan, Ahmed Hassan, Pradeep Muthukrishan, Vahed Qazvinian, Dragomir Radev, and David Zajic. 2009. Generating Surveys of Scientific Paradigms. The North American Chapter of the Association for Computational Linguistics - Human Language Technologies (NAACL-HLT 2009). Ahmed Hassan, Rosie Jones, and Fernando Diaz. 2008. Geographic Features in Web Search Retrieval. The 5th Workshop on Geographic Information Retrieval (GIR 2008), ACM 17th Conference on Information and Knowledge Management (CIKM 2008). Ahmed Hassan, Anthony Fader, Michael Crespin, Kevin Quinn, Burt Monroe, Michael Colaresi and Dragomir Radev. 2008. Tracking the Dynamic Evolution of Participants Salience in a Discussion. The 22nd International Conference on Computational Linguistics (COLING 2008). Ahmed Hassan, Sara Noeman, and Hany Hassan. 2008. Language Independent Text Correction using Finite State Automata. Proceedings of the 2008 International Joint Conference on Natural Language Processing (IJCNLP). Ahmed Hassan, Haytham Fahmy, and Hany Hassan. 2007. Improving Named Entity Translation by Exploiting Comparable and Parallel Corpora. AMML Workshop, The 2007 Conference on Recent Advances in Natural Language Processing (RANLP). Amgad Madkour, Kareem Darwish, Hany Hassan, Ahmed Hassan, and Ossama Emam. 2006. BIONOCULARS: Extracting Protein-Protein Interactions from Biomedical Text. BioACL Workshop, The 2007 Conference of the Association for the computational Linguistics (ACL). Hany Hassan, Ahmed Hassan, and Ossama Emam. 2006. Unsupervised Information Extraction Approach Using Graph Mutual Reinforcement. The 2006 Conference on Empirical Methods in Natural Language Processing (EMNLP 2006). Hany Hassan, Ahmed Hassan, and Sara Noeman. 2006. A Graph Based Semi-Supervised Approach for Information Extraction. TexGeaph Workshop, Human Language Technologies and North American Chapter of the Association for Computational Linguistics (HLT-NAACL 2006). Ahmed Hassan, Ahmed Khairy, and Mohammed Elnagar. 2003. A Vision System for Chess Playing Robots. Proceedings of the 2003 IEEE Midwest Symposium on Circuits and Systems. Ahmed Hassan. Identifying Roles in Social Networks Using Linguistic Analysis. 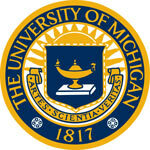 Ph.D. Thesis, Computer Science and Engineering Department, University of Michigan, Ann Arbor, Michigan, USA. April 2011. Ahmed Hassan. A Probabilistic Framework for Learning Bayesian Network Structures from Data. M.Sc. Thesis, Computer Engineering Department, Faculty of Engineering, Cairo University, Giza, Egypt. April 2007.